Recently, LIFEDesigns hosted their annual awards program recognizing employees, customers, volunteers, and donors for their accomplishments throughout the past year. The event was held at the KRC Banquet Hall in the beautiful town of Ellettsville, Indiana. 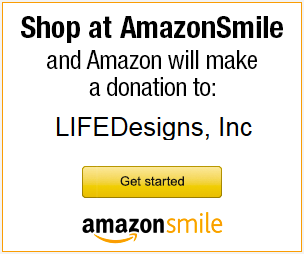 LIFEDesigns is a non-profit organization providing services across South Central Indiana. The organization provides supporting services to people with disabilities so they can live their lives as independently as possible. Some of the services include continuing education, affordable housing, supported employment, community living, and support services. In 2016, we were able to start two new housing projects, each of which received full funding…over $8,000,000! Throughout the year, we were able to provide homes for 66 people in affordable housing. The new projects are both expected to be completed in 2017, and will provide homes for over 45 more people. 2016 was a CARF survey year for LIFE Designs, the process is very intense and looks very closely at the quality of programs and policies at LIFE Designs. LIFE Designs is very proud to be awarded a 3 year accreditation by the CARF international accrediting organization of health and human services organizations. Award winners announced at the event included five Stewardship Awards for community organizations who had generously shared their time and resources with LIFEDesigns. They included Milestone Ventures, CFC Properties, The Shalom Center, Smithville, and the Bloomington Sunrise Rotary. Five staff members also received awards for their dedication, teamwork, and community involvement. They included Lori Schopmeyer (LIFE Designs Employee Leadership Award), Trevor Self (LIFE Designs Employee Innovations Award), Misty Joy Hudson (Foundation Award), Ellen Roth (Employee Excellence Award), Mary Brown (L.I.F.E. Award), and Danny Thomas for the Volunteer L.I.F.E. Award. Customers receiving awards were recognized for their amazing accomplishments throughout the year, their efforts in giving back to the community through volunteering, and their positivity. There were 6 customers recognized. To learn more about what LIFEDesigns does, and how you can be involved with the organization, visit them online at lifedesignsinc.org, on Facebook, or Twitter. CONTACT: Susan Rinne, srinne@lifedesignsinc.org or 800-875-9615 for more information or to schedule interviews.